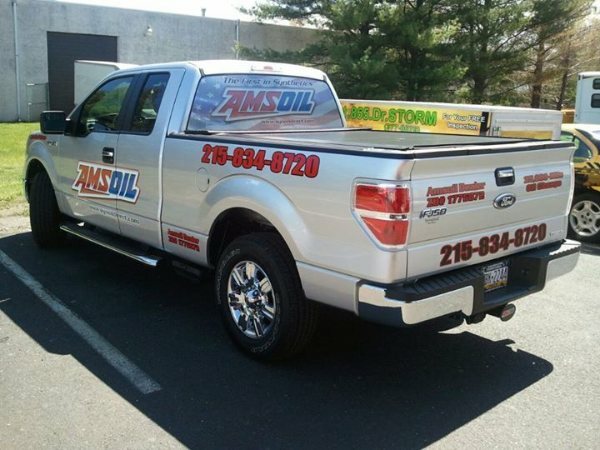 Truck lettering with vinyl is one of the best ways to get your business noticed. At Apple Graphics, we know that fleet managers and franchise business can benefit from the vehicle wrap design advertising trend, and can reap the rewards of 30,000 to 70,000 visual impressions per day by employing unique and affordable vehicle wraps and graphics for their fleet of vehicles. Many businesses focus on traditional advertising strategies such as TV and radio ads, newspaper ads, billboards, and mail ads. While all of these forms of advertising can bring in some clients, the most lucrative way to gain more business is through truck lettering with vinyl. At Apple Graphics, we understand the importance of quality advertising. It is estimated that truck lettering can result in up to 900,000 impressions per month. It is easy to see why custom vehicle lettering with vinyl is a cost effective yet powerful advertising solution for any business, large or small. At Apple Graphics, we can easily display your pertinent business contact information, such as your name, address, phone number, and web address, on the back and sides of your vehicle. For a more affordable option to full vehicle wraps or partial vehicle wraps, we can place custom graphics over your vehicle that assist in branding your company vehicle. Some examples of graphics we have installed are paw prints for dog walkers and vets, flowers for florists, and paint splotches for artists. If you own a franchise you’re already off to a great start if you want to implement vehicle wrap designs into your fleet. Name recognition and building brand identity is important for franchises, especially if you have competitors in your immediate area. Our creative graphic designers will work with you to come up with great ideas, and since we are experts in the franchise graphics world, we’re confident that your franchise vehicles will stand out once wrapped. 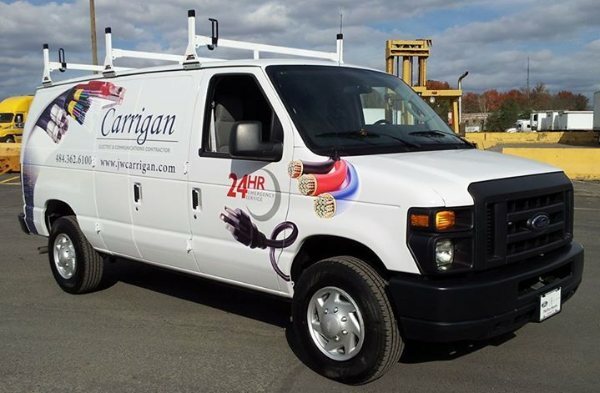 Because we are a full service vehicle graphics and wrap company, we can design and create fleet wraps and install them just about anywhere that is requested. At Apple Graphics we have templates for all vehicle makes and models to ensure logos, images, and corporate messages are placed on each vehicle for visual optimization. Using digital imagery, we make each vehicle unique, yet consistent in brand message. This means that while your fleet is out on city streets and highways, that consistency is constantly displayed. Let our team assist you in coming up with the perfect vinyl truck lettering for your fleet or for your vehicle.